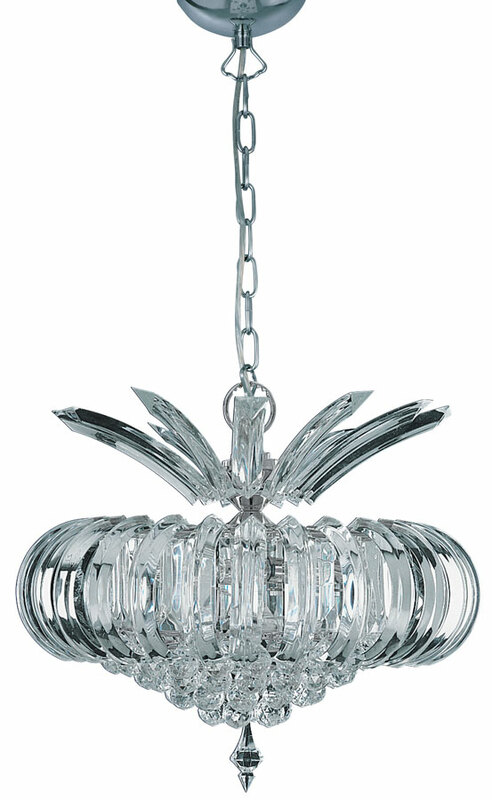 The Sigma chrome 5 light chandelier with acrylic prisms is a striking blend of vintage elegance and bold silhouettes. 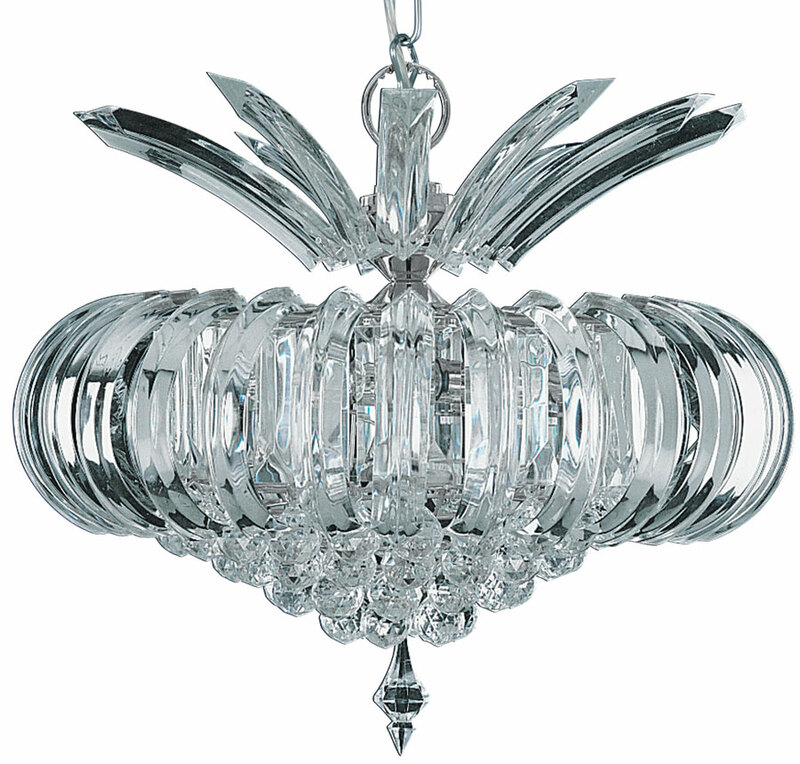 The polished chrome frame is adorned with clear faceted balls and draped in cascades of shimmering acrylic prism curves, which reflect the light beautifully for a glamorous elegance that makes a magnificent centre piece to any large living room or hallway. The chain suspension can be adjusted for different ceiling heights. An attractive and modern chrome finish five lamp chandelier pendant, with clear acrylic prisms and faceted balls to create a stunning lighting effect. The acrylic used has been impregnated to give an effect identical to crystal for a crystal lighting look at a fraction of the cost. Height adjustable at the time of fitting, maximum height 104cm.